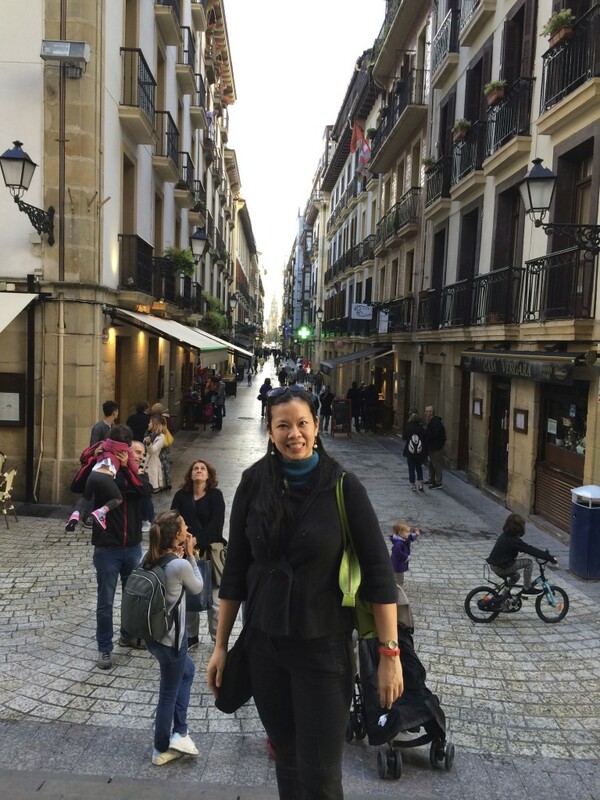 Looking back at my 28 days in Spain, I realized fitness and wellness is already a lifestyle for me. I don’t go to gym just to lose weight, but to be healthy and feel great. 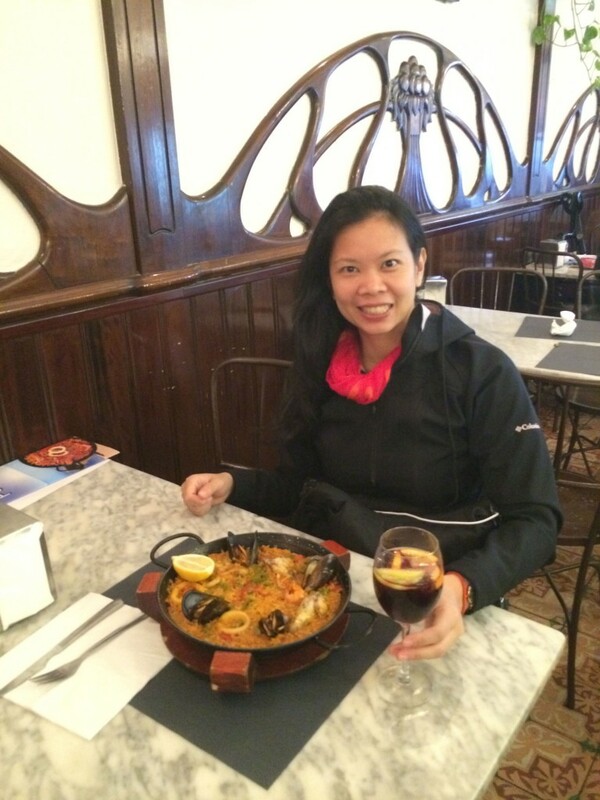 So even without access to a gym or access to a kitchen all the time, I still made healthy choices in Spain. Continue to exercise. No gym, no problem! In my hotel room or airbnb rental, I would do yoga and pilates exercises, plus ankle strengthening exercises. No gym, no problem! 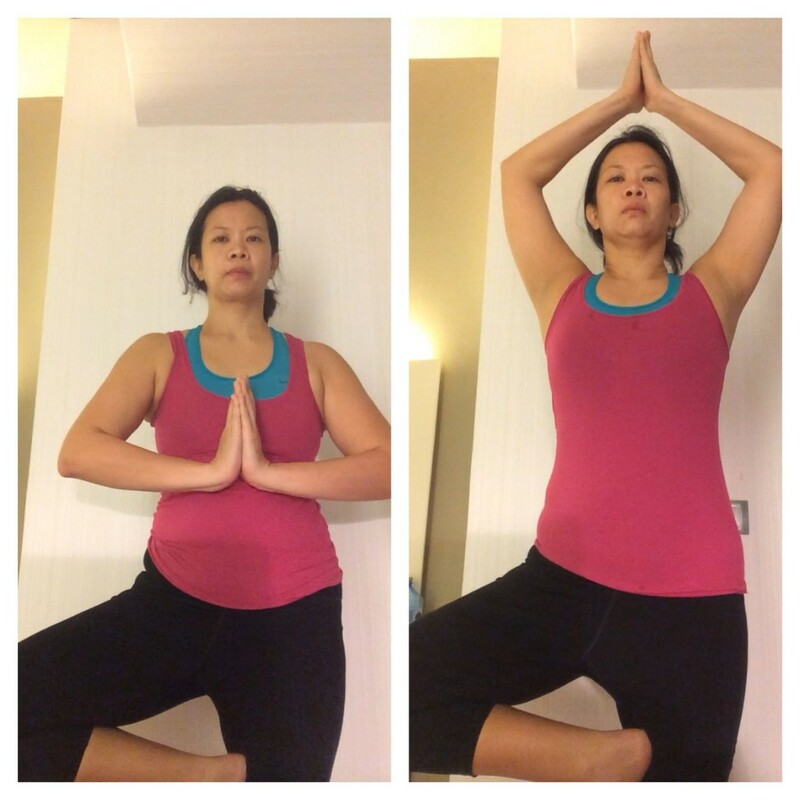 Do yoga in your hotel room! No weights, no problem. Buy those two 1 Liter or 1.5 Liter bottles of water. They make great replacements for dumbbells. (They also keep you hydrated). Walk, walk, walk… Five days before I left for Spain, I injured my left knee. But with intensive therapy, I managed to make it better for my trip. When I asked my doctor if I could exercise, he told me to walk. And, I did walk….a whole lot! 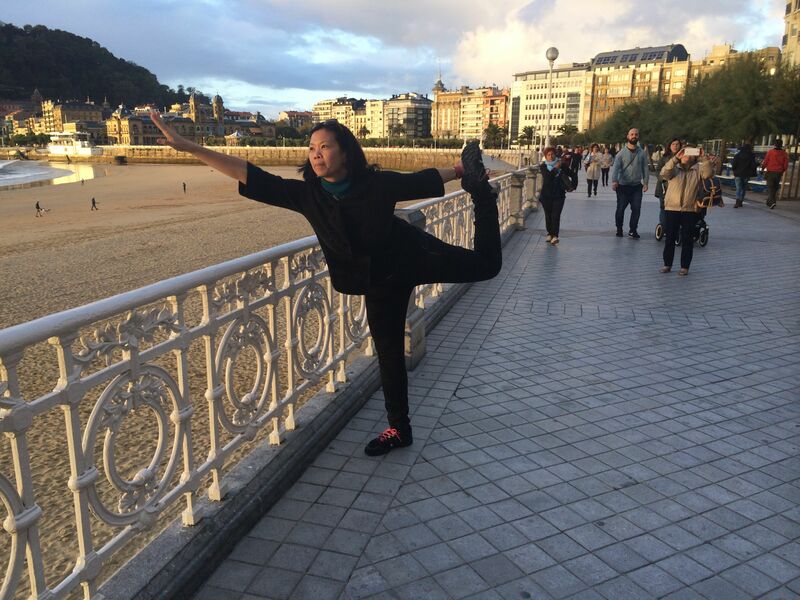 San Sebastian is a great place to take long walks or even do yoga poses by the beach! In San Sebastian, I walked, over 30 minutes each way from my hotel to the Congress I was attending. Not only did I save on taxi fare, I also enjoyed the walk by the beach. Discover a place on foot, as I did in Barcelona. Get lost with and soak up the culture with locals and fellow lost tourists! 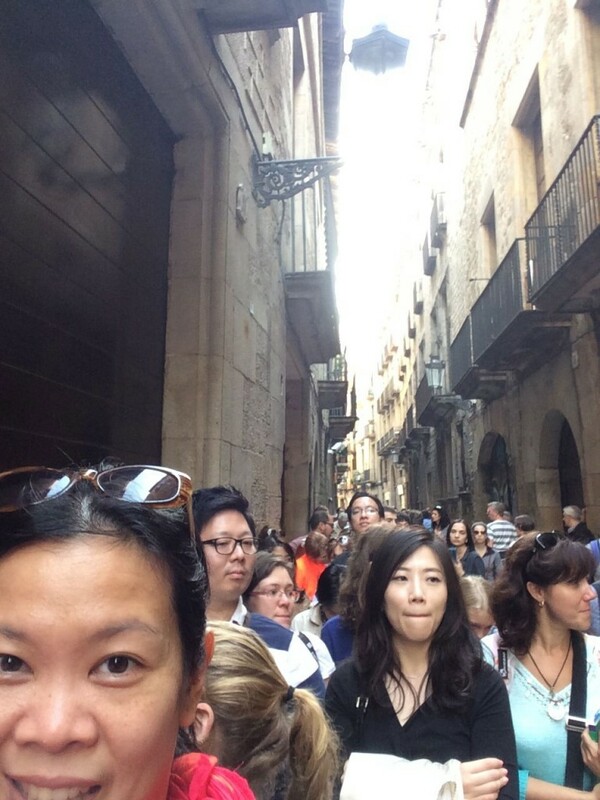 Instead of taking bus tours, I opted to discover sections of Barcelona by foot. It was a great way to see the city, soak up the culture, and even make friends with the locals. In Granada, after exploring the Alhambra and lots of walking in the palace grounds, I continued walking to Alabaycin with my newfound Argentinean friends. We walked up and down the hilly terrain. Apart from my taxi ride to Alhambra in the morning, the rest of the day was by foot. I was dead tired by 5pm, but it was the perfect way to see Granada, take photos, and make memories. Get Lost! Even without making much effort, my fitbit recorded high numbers every single day. Even with google maps to help me get around, I still managed to get lost. The upside was engaging with the locals, as I often ask for directions and seeing more of the city. 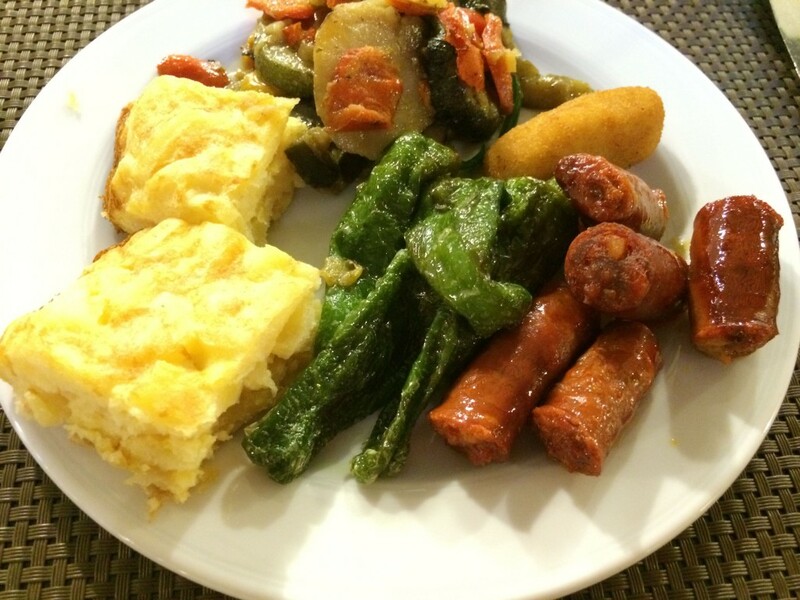 My hearty Spanish breakfast fare in San Sebastian! Go ahead indulge in Spanish Cuisine, but also make healthy choices when you can. Sure, I ate heaps of Tapas. 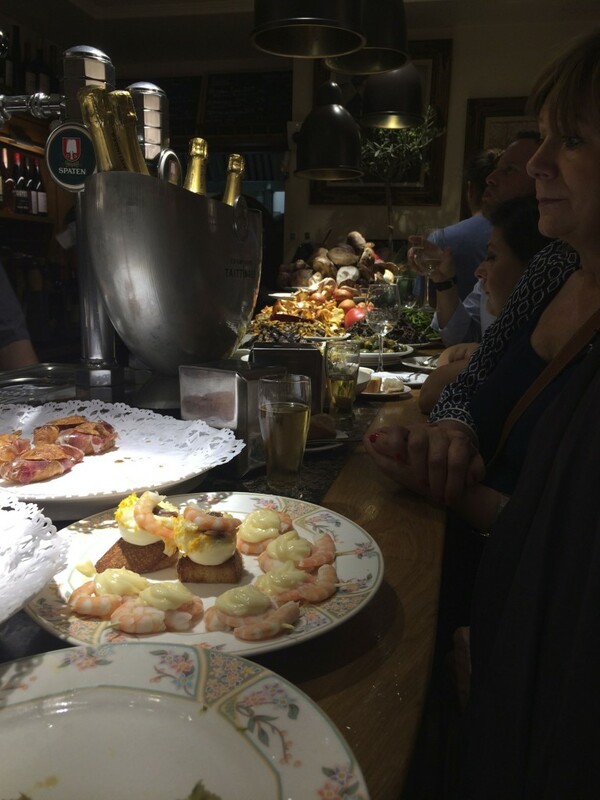 Tapas are often served with bread or over bread. Bread in Spain is delicious. I didn’t forego desserts. But I also made sure I ate my five servings of fruit and vegetable. 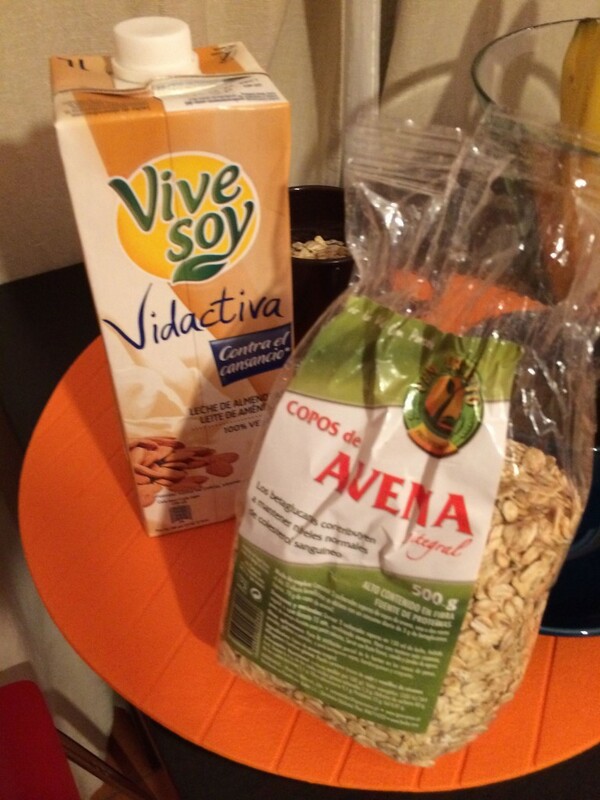 I think it was my 1th day in Spain, my body was craving oatmeal and almond milk for breakfast. So I gave my body this healthy breakfast staple for several days. Go to the market and buy fruits in season. Spain has amazing fruits and produce. 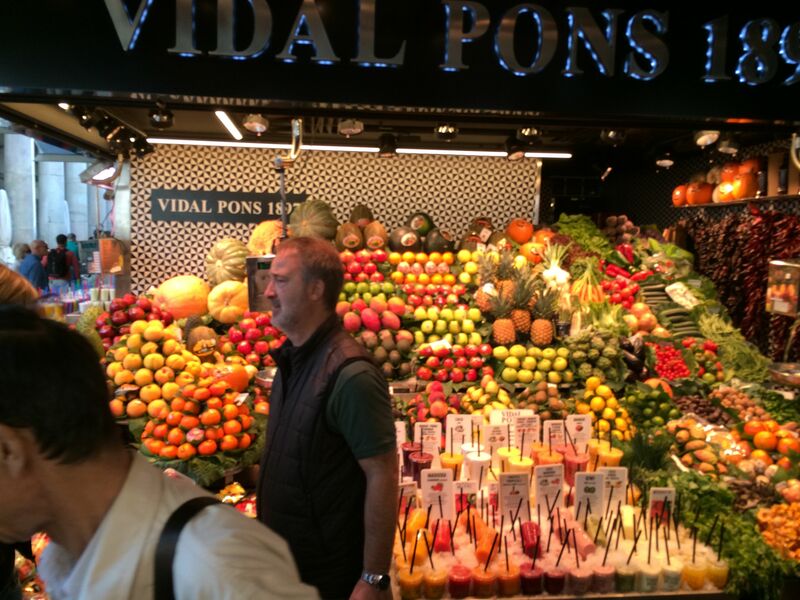 They also have great markets like La Boqueria Mercat in Barcelona and Mercato San Miguel in Madrid. 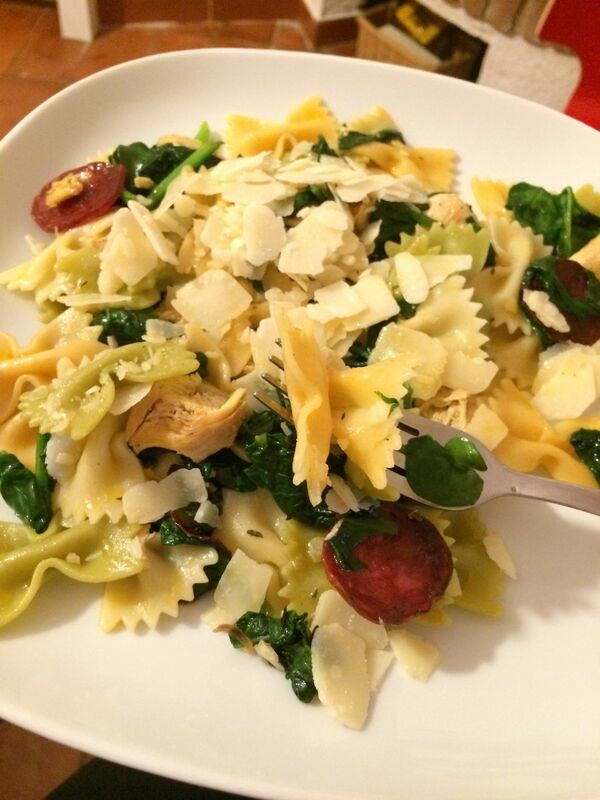 Cook for yourself. I enjoyed having access to a kitchen in my airbnb rental allowing me to cook for myself for a few days. It is a good break from eating out all the time. So go ahead indulge in the local cuisine when you travel. But also remember to make healthy choices. Continue to eat your fruits and veggies. 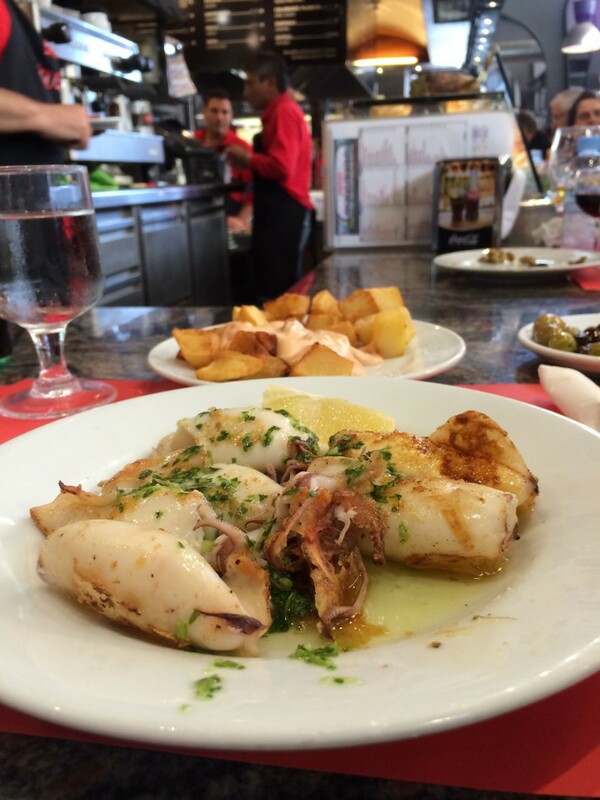 Indulge in Spain’s amazingly fresh seafood. Simply cooked ala plancha, a great healthy oh-so delicious choice! Keep Walking…. as I did for hours in Granada. 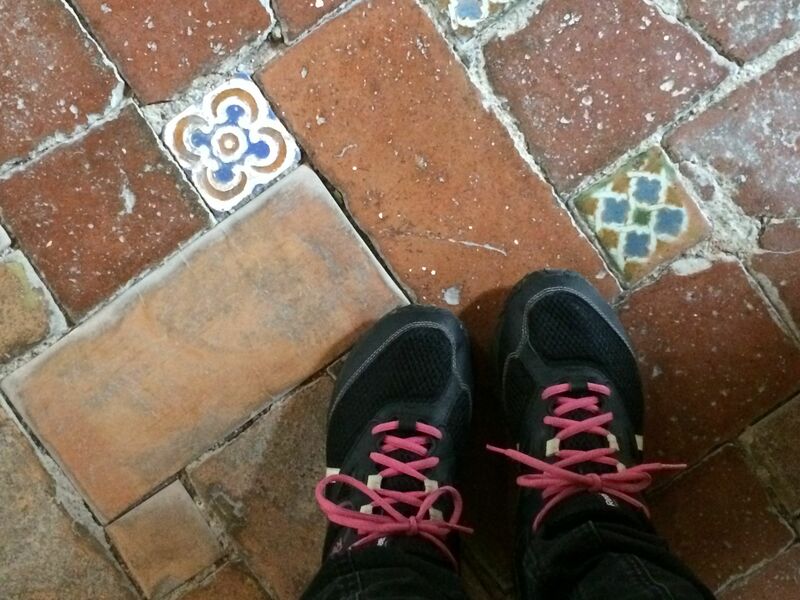 These are the tiles in the palace in Alhambra! And when all else fails, Spain has numerous amazing churches to visit. I was practically in one church almost every day. Pray that you don’t put on weight. 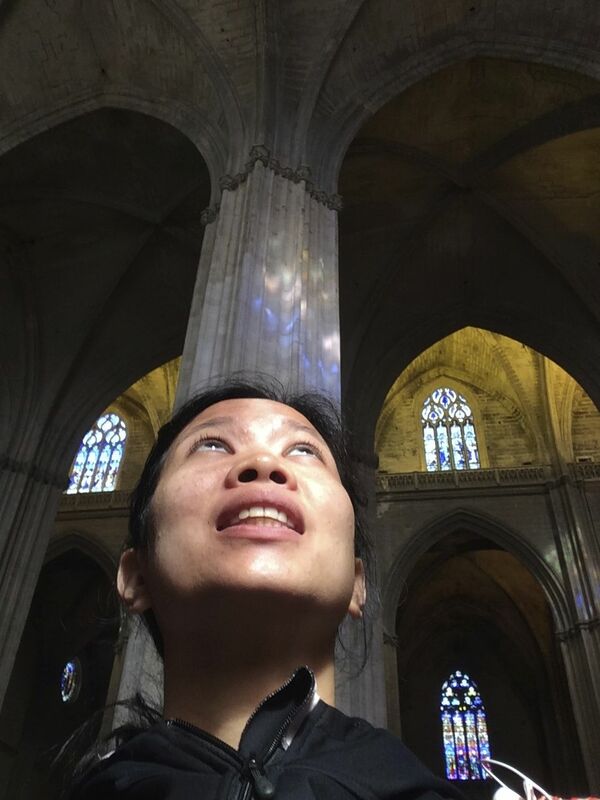 When all else fails, pray at the many churches you will visit in Spain!